T I T L E : Cassiel. No middle name, no surname; his father and the majority of his siblings thought it to be inappropriate to give him anything more than a first name. A L I A S : He is commonly referred to as 'Cass'. R A N K I N G : Beta Male, alongside Verine. S E X : He is of the male variety. O R I E N T A T I O N : Pansexual--his love sees no gender. A G E : Three years. P H Y S I Q U E : Cassiel had once been a bone-thin wolf with nothing but an almost irregularly-strong biting force and incredibly long, lightly-muscled legs working for him. As he aged, his muscles began to fill out naturally, and while he most certainly isn't a bulky wolf, he is more lean and muscled than when he was just two years old. F L E E C E : His coat is a primarily solid color; a gray so dark it's almost black. However, as is the case with most wolves, he has a few flecks of white dusting his neck, legs, and back. O P T I C A L : A solid sky blue. While the color of his iris seems faded and dull, his gaze is sharp and piercing. S C E N T : A rich, earthy scent, akin to rain and cut grass. P E R S O N A : Cass is a quiet, reserved kind of wolf. He doesn't appreciate a lot of company at once - this stemming from his history in solitude. He gets nervous around large groups of people, and tends to retreat to isolation after prolonged socialization to 'recharge his batteries', so to speak. You'll rarely catch him messing around with anyone; really, the only time he lets his guard down to have fun is around his mate, Verine, and his children. Even then, it's a rare occurrence. He has an air of maturity about him, although don't give him too much credit. His social development was stunted as a pup, and he has a poor grasp on relationships and how to deal with them, as shown when he had his affair with Kanaya. Don't take this to mean he's heartless. He didn't quite realize how far he had gone until it was too late. He really is an empathetic person, although he keeps it all locked up underneath a cold, collected exterior. E X P E R I E N C E S : Cass doesn't like recalling his past. He was the only surviving pup of an illegitimate pairing - one between the alpha of the pack and an omega, a relationship that was greatly frowned upon. The omega, his mother, was killed by the alpha, his father, in order to cover up the evidence of this taboo relationship. His father - named Mercury - planned on killing Cassiel as well, although had decided against it. Why? Cassiel doesn't know the answer to that, although he doesn't particularly care. 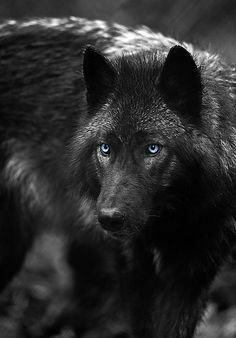 He was brought in secret back to the pack's main camp, where he was given to Mercury's previous litter - all around one year of age at the time - as well as the female alpha to be taken care of. Mercury disappeared around two weeks later, and Cass's half siblings were put under strict orders not to let his existence known. His two older brothers, Raphael and Micheal, wanted absolutely nothing to do with him. They often called him a 'waste of space' when he was clearly within earshot and they didn't know why their father didn't just leave him for some night-dwelling, nefarious predator the day he was born. His other half-siblings, however, Anna and Gabriel, cared greatly for him. Even though they loved him, as well as the alpha female - named Ariel - their affections couldn't make up for the fact that Cassiel was just proof of some greatly frowned-upon fooling around on his father's part, and nothing more. This constant solitude and secrecy regarding his mere existence began to wear down on him. He couldn't take being kept a secret anymore, he couldn't take the fact that his older brothers talked of his illegitimacy - knowing full well he could hear; how they snapped, bit, and attacked him day in and day out, and how he should be dead. He couldn't take it anymore, so when he was just two months over the age of one, he escaped in the night and began to wander aimlessly through the vast forests of the surrounding land. He was on his own for a very long time, although that much didn't bother him. He was used to being isolated, so he didn't feel the need to socialize while on his travels, much unlike others. He spent ten months travelling on his own, before he happened upon the territory. F R I E N D S H I P S : Maverick, Verine, Kiran, and Phoenix. L O V E R : Verine.